Lauren and I had an amazing time teaching duo trapeze, solo trapeze, and handstands workshops and giving feedback to brave, inspiring performers at the Southern Fried Circus Fest in Dallas, Texas, earlier this month. Next up, a trip back to Vermont to teach some workshops at my favorite stomping grounds, NECCA! There are so many enticing events on the calendar for their upcoming Circus Workshop Weekend, November 5-8. Lauren and I are both excited to be on the schedule instructing some of our old favorite workshops as well as new offerings, like Everything We Wish We Knew Before Creating An Ensemble Circus Show. And we’re both available to teach private lessons Friday through Sunday. 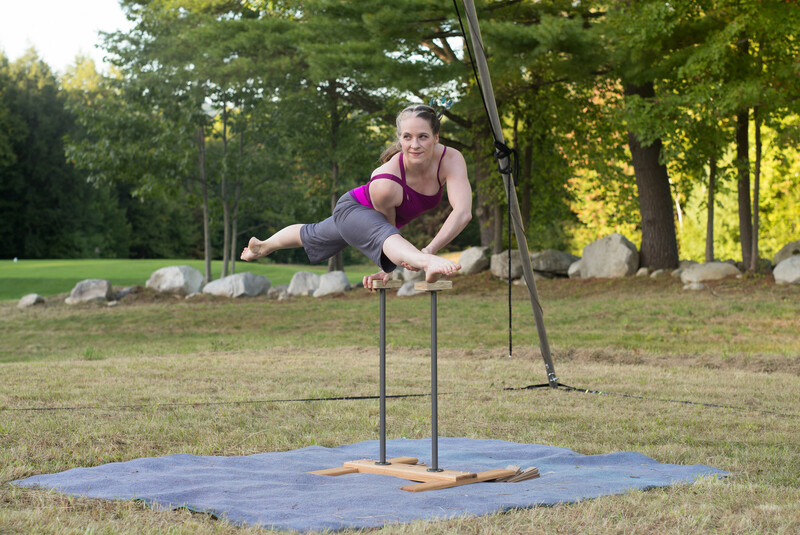 Contact Elsie to schedule private lessons — act creation and development with Lauren, and any kind of trapeze or handbalancing with me. Here’s a list of the workshops we’re offering at NECCA. Click on the links below for full descriptions and to sign up!